This shoe has now been replaced with a newer model, the Merrell Moab 2 Ventilator. This older model can still be found on the US Amazon site. In searching for my perfect hiking shoe the Merrell Moab Ventilator Hiking Shoe was one choice that kept appearing on the web as being the one. In the end this wasn’t the shoe that I decided to go with as my ‘Shoe of Choice ‘ (see the review of the Salomon XA Pro 3D) due to its stability. 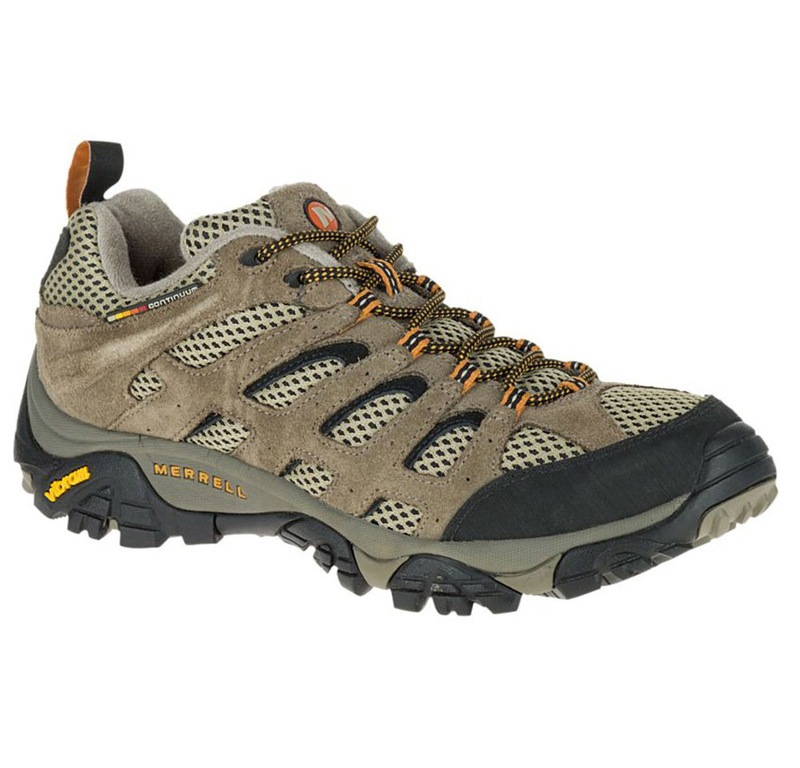 The Merrell Moab Ventilator Hiking Shoe while classed as a hiking shoe is on the lighter end of this category when compared to the Keen Targhee II and is more comfortable than the Keen offering. The sizing of these shoes is typical and I expected a size 14 US which fitted me. The soles of the shoes are average with the tread pattern gripping well in wet conditions but being substandard on dry powdery soil. I often hike in these conditions particularly over summertime and so this was a deal breaker for me. The Merrell Moab Ventilator is a relatively lightweight hiking shoe so the durability is average The durability is good, but not great, and my current pair, while looking good has worn on the soles after about 500 km (310 miles) and is now past full-on hiking use. Compared to some of the heavier-duty, and lighter shoes available. The lacing system is standard on this shoe. The colour choice is limited to grays and tans, and very often stores will limit what they carry. This limited colour choice suits most people so it’s not really an issue. Shoe sizing in Australia goes up to about size 15 so this is one of a limited choice of shoes for those with larger feet. A word of warning here in they are available from overseas often at a very cheap price but pay close attention to the freight cost otherwise you may end up paying more for them than you can in a store. Overall a very good choice but better options do exist for me.